Lovely Public Sr. Sec. School, Priyadarshini Vihar was born out of pioneering efforts of an ideal thinker Shri R.P. Malik, its founder Chairman, dedicated to the cause of education. Considering education - "A Real Treasurer". L.P.S. is run and managed by Lovely Bal Shiksha Parishad, A Govt. Registered Society consisting of highly qualified staff and well reputed educationist. It is an English medium, co-educational institution having classes Nur to Sr. sec. recognized by the Govt. and affiliated to the Central Board of Secondary Education under all India Scheme. The school provids the right inputs to help the children grow up into multi faceted personalities, equipped to make the best choice in life and grow up to be responsible citizens of the nation and the world. The motto of the school "Let's move to a better future with L.P.S. ", focuses on the character & personality building of every child. The school follows aneducation system bases on the Principles of "Holistic Education". The teaching is based on 10 point programme given by the Director Principal of the school Dr. (Mrs.) S.D. Malik a great educationist. 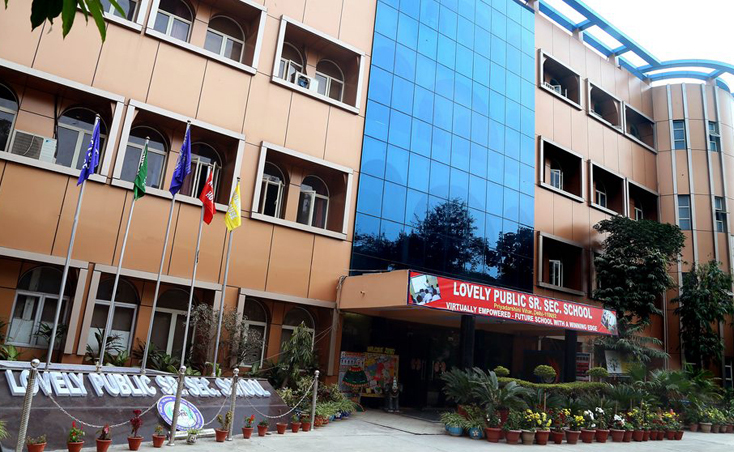 Being Excellence our motto, at Lovely Public School, We and our students have been winning various awards. In fact We at LPS make Winning a habit. However all the Achievements and Awards can not be enumerated. Some are given for your reference.